Over here at Paris Perfect we’re big fans of Instagram (are you following us yet?). 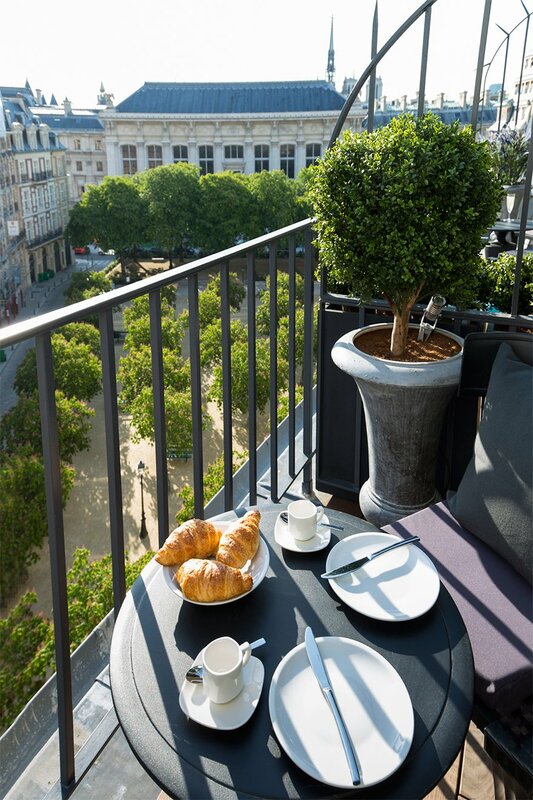 It’s a great way to share both the beauty of our apartments, as well as Paris, with people from around the world. Because of this, we know the importance of a good Instagram photo, and even more so how much easier it is when you already have a photogenic setting. 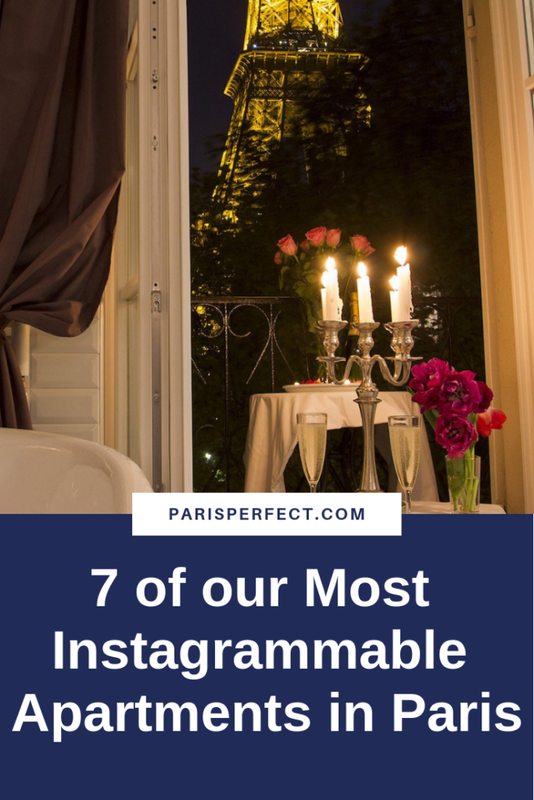 We decided to make a selection of seven of our most Instagrammable apartments in Paris. 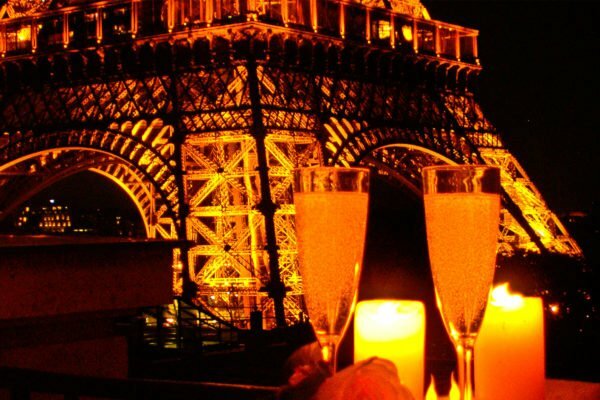 Use this post as inspiration when making your booking for your next trip to the City of Light! 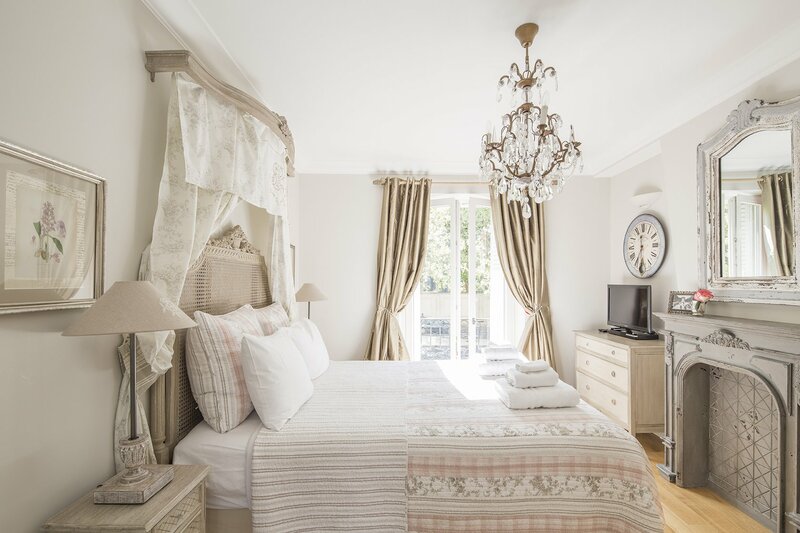 While the entirety of the Chambertin apartment is light-filled and photogenic, with its beautiful fireplace mantel in the living room and the wrought iron details on the windows, the real pièce de resistance is the bathroom. 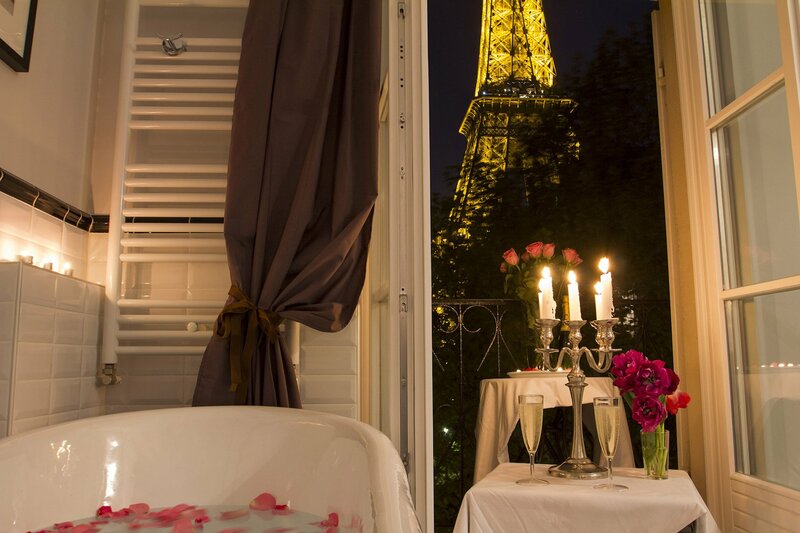 Decorated with a white claw-foot bathtub and a white-and-black tile floor, the adjoining balcony and its Eiffel Tower view make it the perfect photo opportunity. You may recognize it from this post by Messy Nessy Chic! As if the interior of the Romanée apartment weren’t picturesque enough! 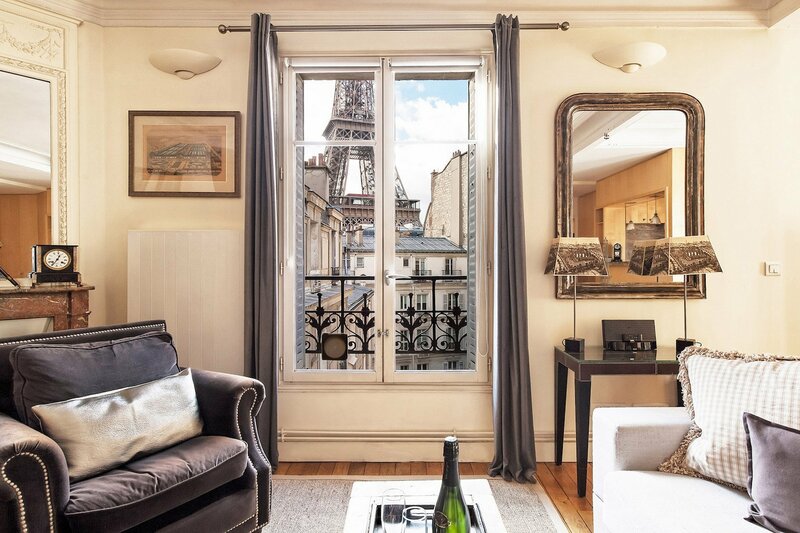 The windows in the living room frame the view of the Parisian rooftops and the Eiffel Tower, which might make you think you’re looking at a painting. This, along with its warm, earthy colors and details, make it one of our most instagrammable apartments in Paris! Overlooking the beautiful Place Dauphine, the balcony of the Monbazillac apartment offers a rarely-seen view over the picturesque square. With the top of the Notre-Dame Cathedral peeking over the roof of the Palais de Justice at the east end of the square, it’s an ideal spot for Instagram photos. There are many Instagrammable aspects of the Beaujolais apartment, providing ample photographic opportunities. 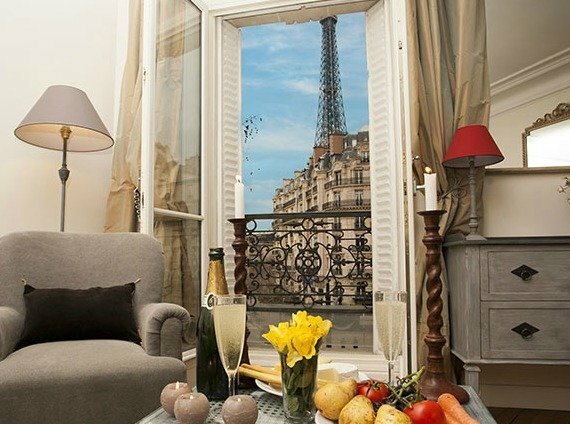 From the light-colored decor which reflects the light pouring in through the windows to the gold framed gallery wall to the Eiffel Tower view, you’ll never regret a stay at Beaujolais if you’re looking for Instagram photos! 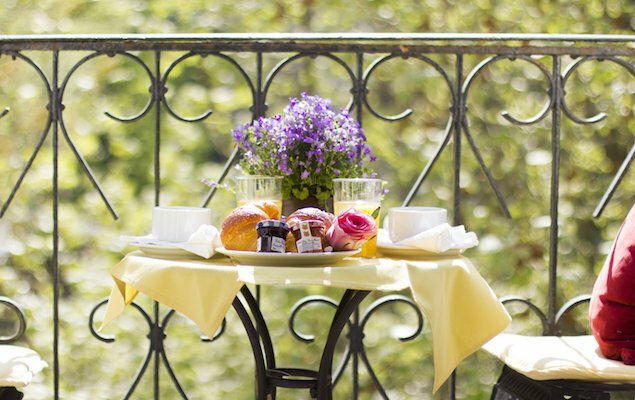 Could breakfast get any more picturesque? 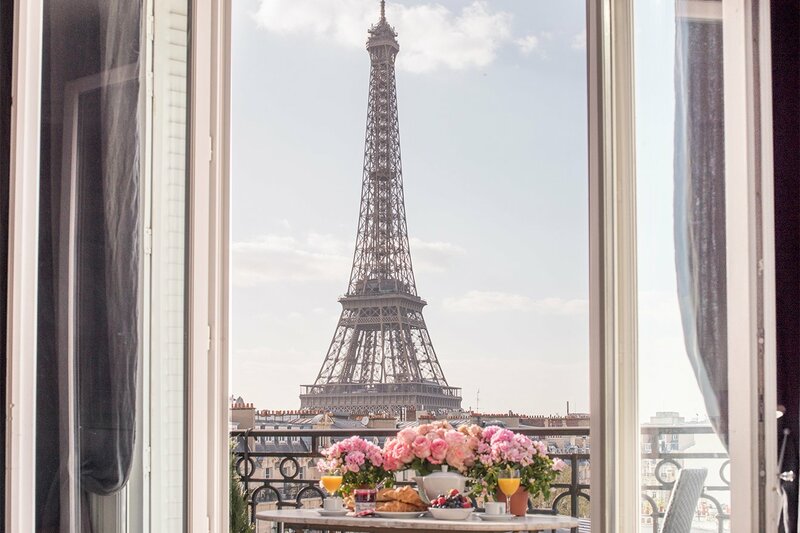 This killer view of the Eiffel Tower, marble table and wrought iron balcony are the things Instagram dreams are made of, and the Château Latour apartment provides all of this (along with its beautiful, comfortable interior of course). 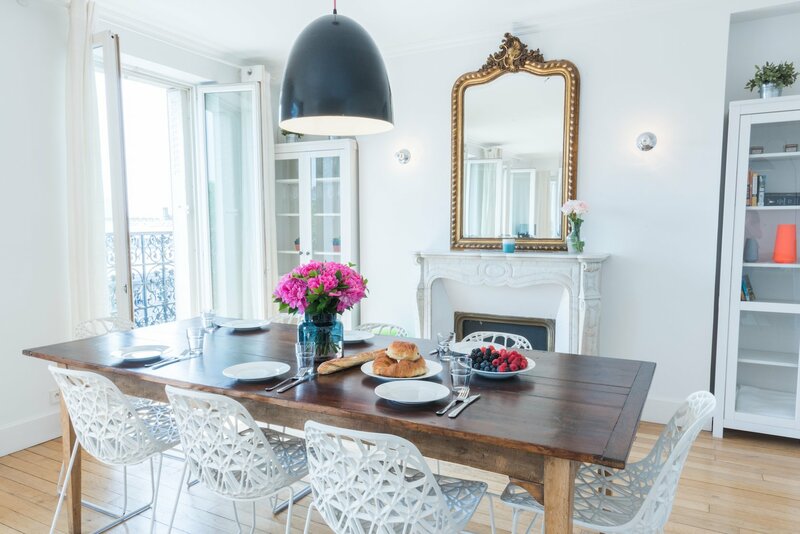 If you’re looking for a beautiful place to hold a dinner party, look no further than the Mondeuse apartment. The big wooden dining table, flanked with intricately designed white chairs, looks perfect from every angle, whether you’re facing the marble mantlepiece and gold-framed mirror or the double doors to the balcony overlooking the Parisian rooftops. 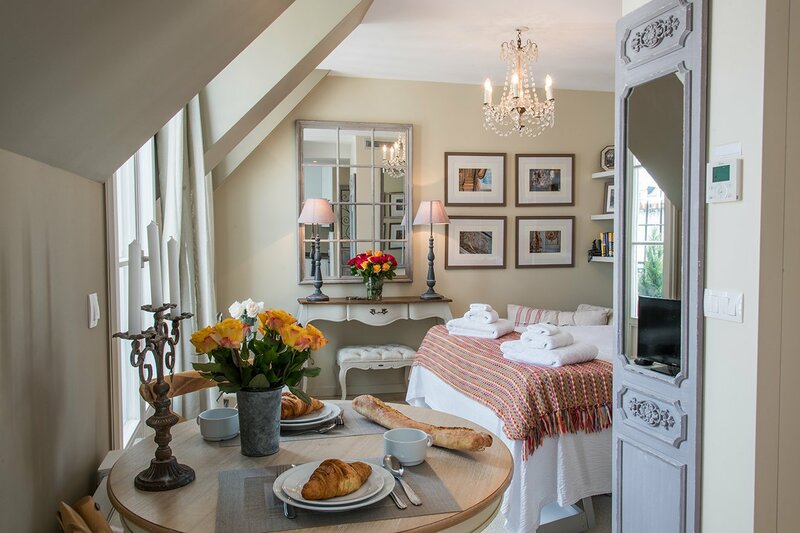 The Saumur apartment has an adorable balcony stretching the full length of the apartment and overlooking the bustling rue Cler below. It is, of course, just as pretty inside, with its delicate details. 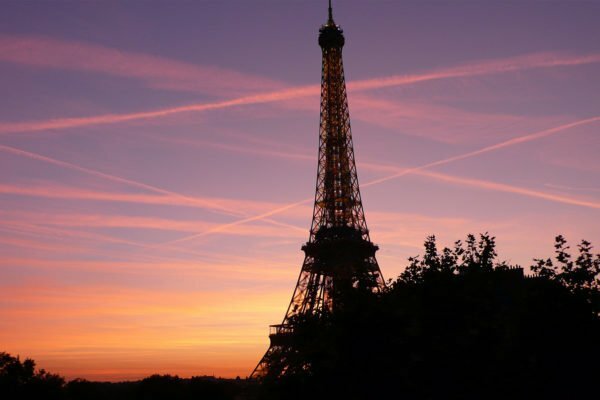 Being located in one of Paris’s most Instagrammable neighborhoods doesn’t hurt either! Which of these apartments would you consider the most Instagrammable? Give our reservation team a call at 1-888-520-2087 from the USA or email [email protected]. They’ll help you find your dream Instagrammable apartment! 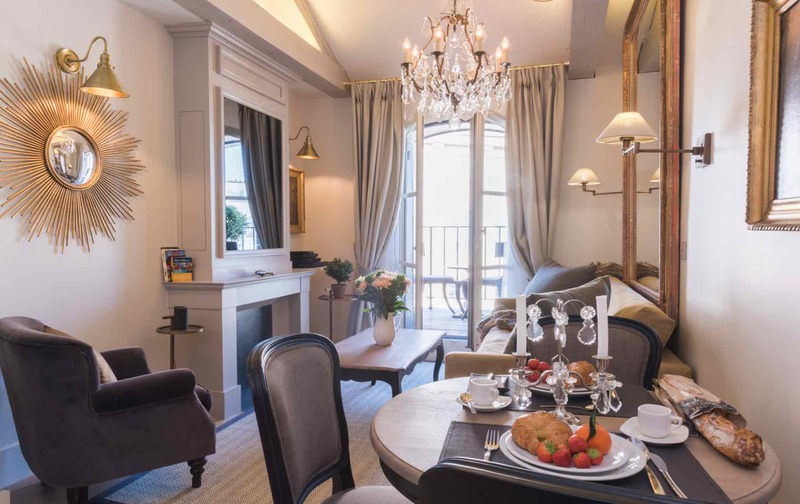 Posted on Tuesday, February 5th, 2019 at 12:45 pm in Parisian Living. You can follow any responses to this entry through the RSS 2.0 feed. You can skip to the end and leave a response. Pinging is currently not allowed.